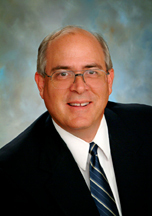 Gregg Butler has over 34 years of experience in a wide range of accounting, tax and consulting services including personal financial and retirement planning, exit and succession planning, individual and business taxation and planning, trust management, auditing of profit and not-for-profit businesses and small business consulting in a wide range of industries. Gregg spent the first three years of his accounting career on the staff of Toback & Company, a large, local public accounting firm, before joining the firm of Brooks, Vance and Messmer, CPA’s. In 1986 he was made a partner in the new firm of Vance, Messmer & Butler, CPA’s, a predecessor to the firm of Butler Hansen, P.L.C. During his career, Gregg has served as a guest speaker for several community association industry professional organizations, as well as authoring several articles published in certain non-profit industry publications. Gregg has served his community, being involved with and serving on the board of directors of several community organizations. Currently, he is the treasurer of the Paramount Foundation of Central Arizona. The PFCA is an organization dedicated to the restoration of the historic Paramount Theater, which is the pivotal point in the restoration of the downtown area of Casa Grande, Arizona. Gregg is also the treasurer of the local chapter of the Ehlers-Danlos National Foundation, which focuses on a medical condition that is dear to his family. He was also one of the founding members of the Board of Directors of the Fiesta Hall of Science; an organization created to provide a “hands-on” experience for young people visiting this science and technology museum. Gregg is a native of the Phoenix area. He and his wife of 34 years are the parents of 4 children and the proud grandparents of 5 grandchildren. In addition to woodworking and fishing, Gregg enjoys traveling.